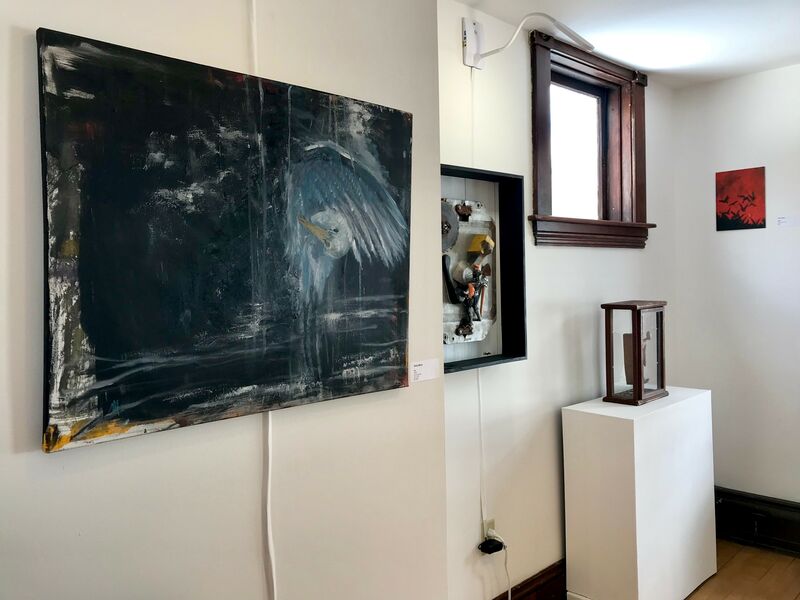 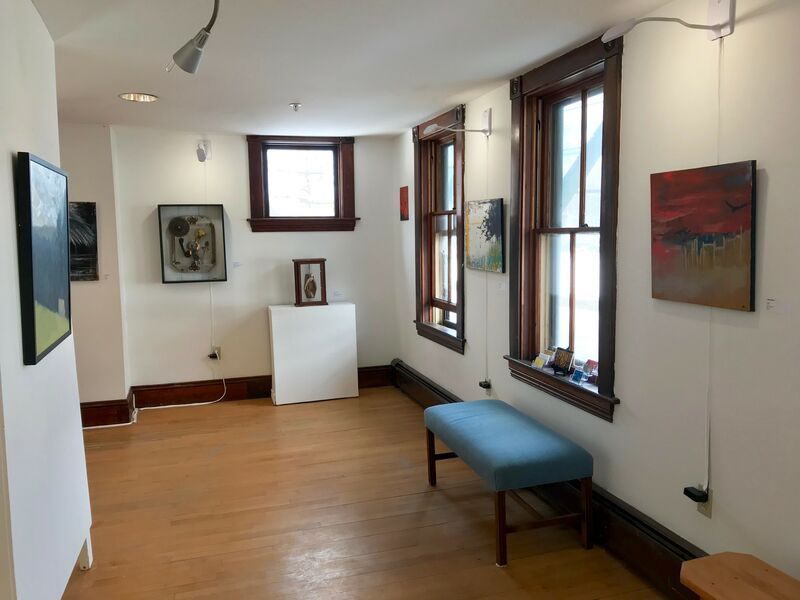 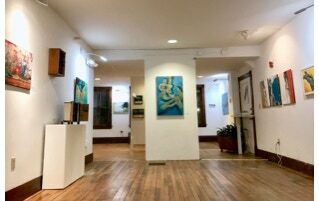 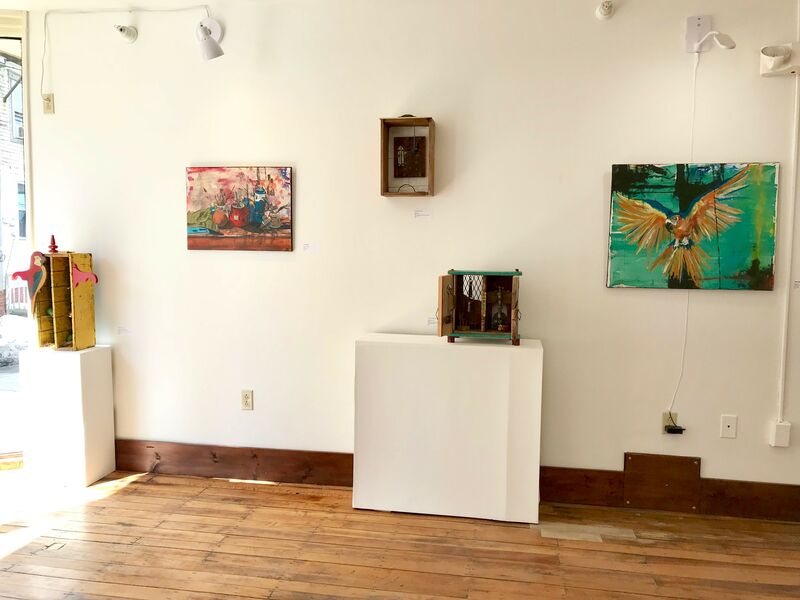 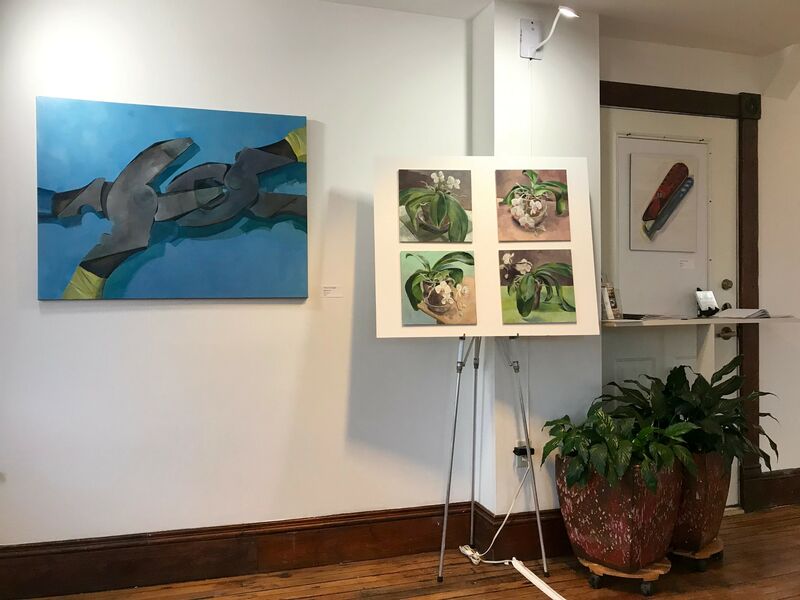 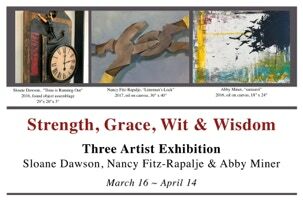 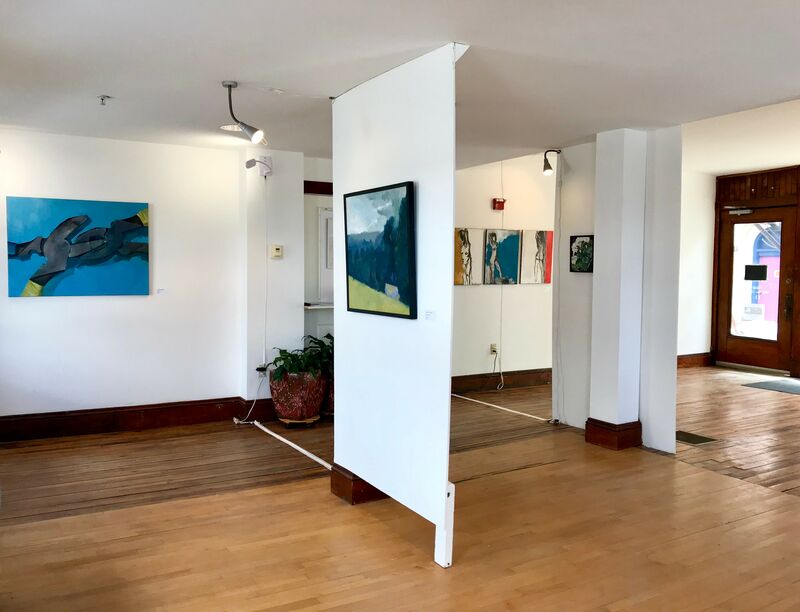 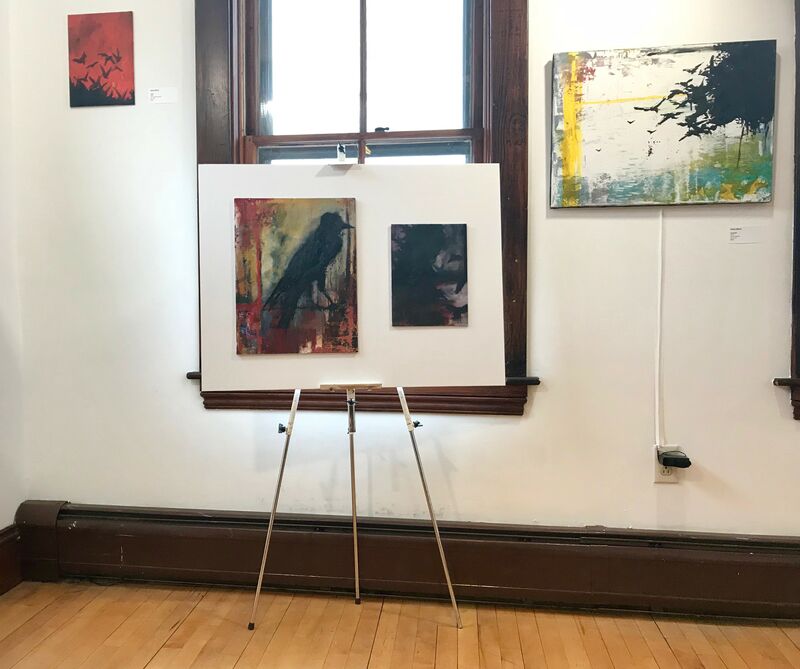 Canal Street Art Gallery is pleased to present “Strength, Grace, Wit & Wisdom” a three artist exhibition featuring the works of Sloane Dawson, Nancy Fitz-Rapalje and Abby Miner. 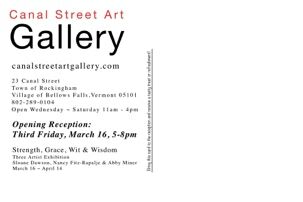 The public is welcome to attend the Opening Reception, Third Friday, March 16 from 5-8pm. 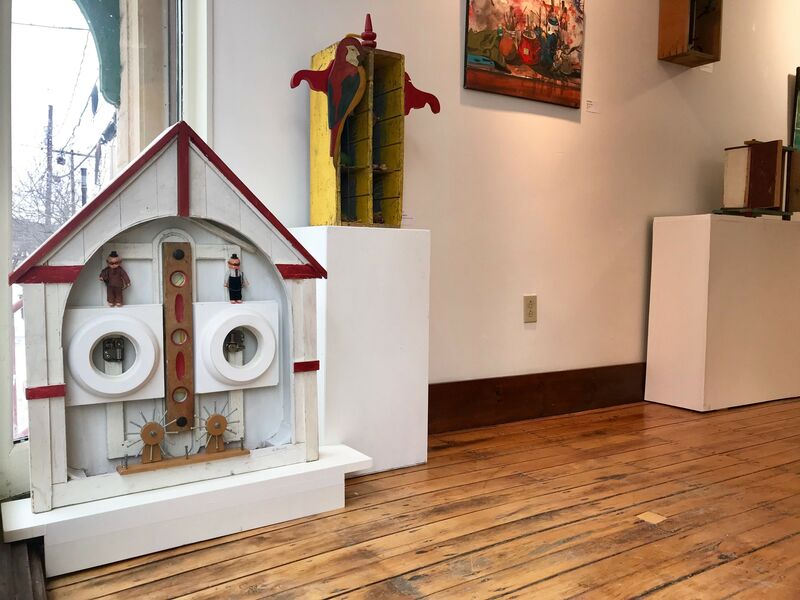 Sloane Dawson works with found objects, creating assembled sculptures which both deny rationale and serve as a studied chronicle and cultural commentary on the artist’s life of adventure and travel. 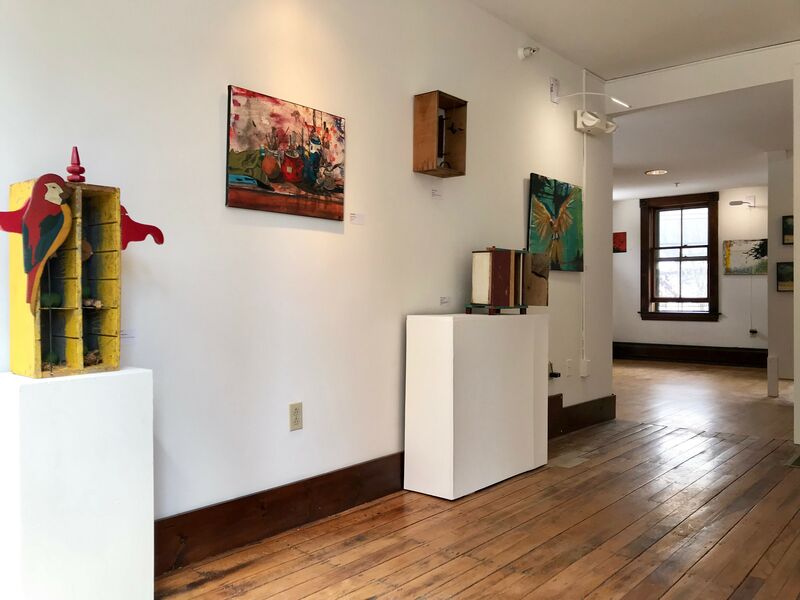 Dawson’s work expresses the wit and vision of a woman who still keeps her knapsack packed and sitting by the door; ready at once for the next expedition. 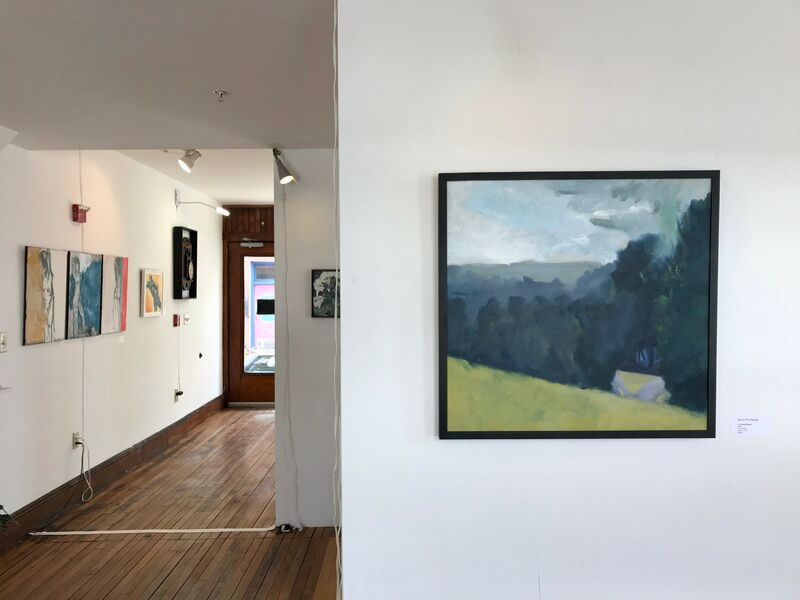 Abby Miner’s oil paintings are explorations of the juxtaposition between movement and stillness. 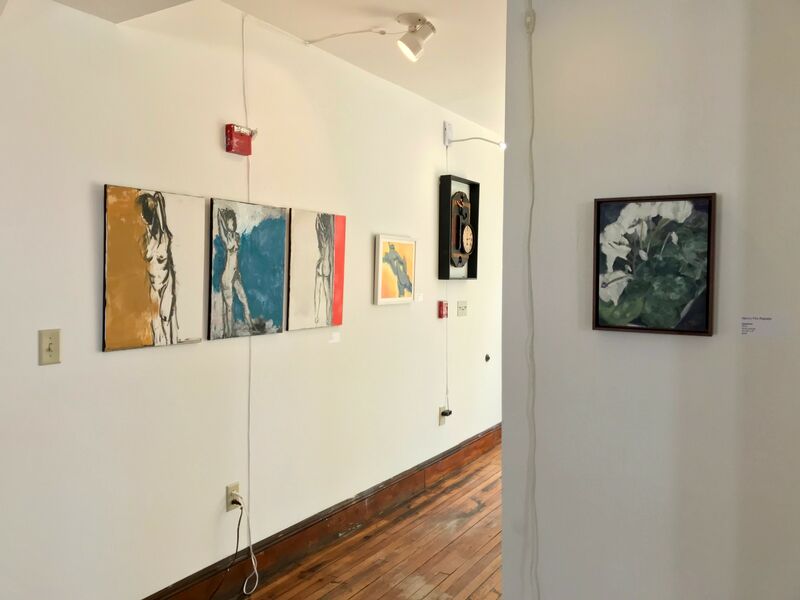 Miner works in layers of color and texture balanced precariously with clear, intentional brush strokes from which the structure, form and grace of her subjects emerges through the eyes of a self described homesteader, people watcher and mischief maker. 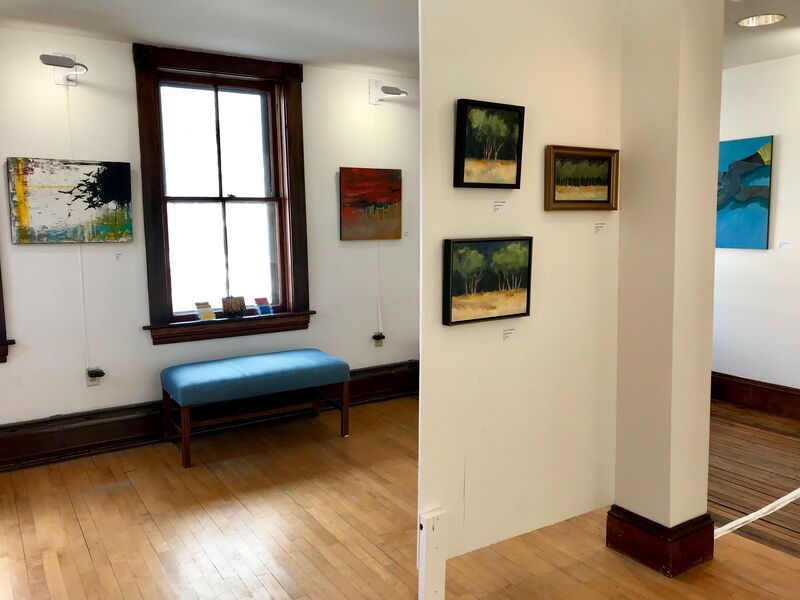 Nancy Fitz-Rapalje’s work offers us an intimate view of the solitary life of a dedicated oil painter. 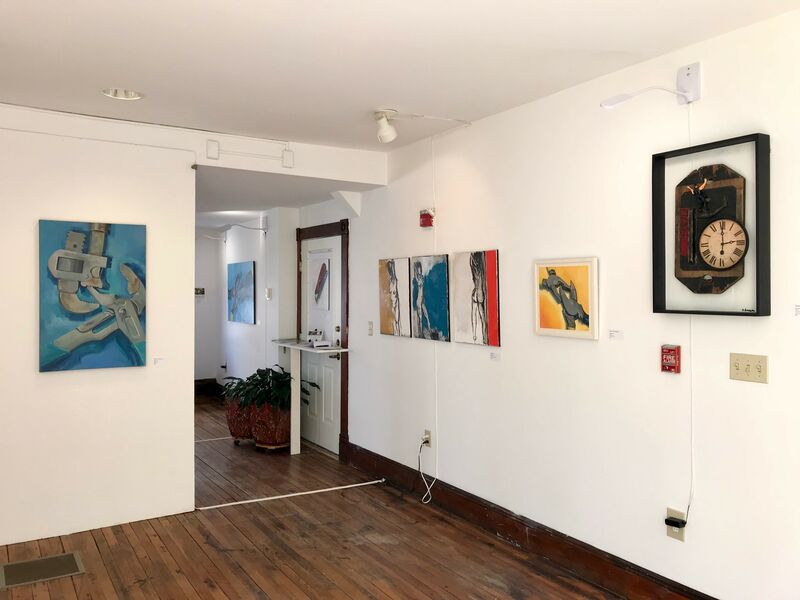 The strength and certainty of Fitz-Rapalje&apos;s compositions, lines and shapes express the freedom found in the everyday when the compulsion to create flows so intentionally through an artist’s monologue on her medium of choice.